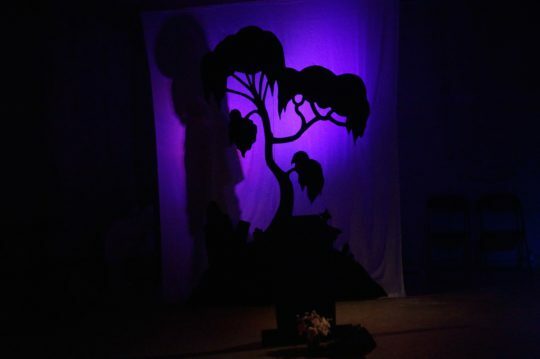 10-26 November, Fridays and Saturdays at 8pm, Sundays at 2pm. 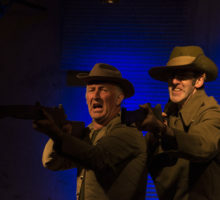 The title of the show ‘Gallipoli, The Musical’ by local writer and theatre maker, Mark Penzak has caused some brows to furrow and wonder, ‘What the…?’ Well, for starters, it’s not a musical in the traditional sense of the word, however it does have wonderful incidental music composed by Mark Anstey, (the brains and the brawn behind Lot19). 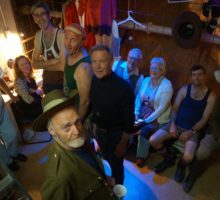 The cast includes Charles Affleck (composer, Monkey and the Monk), Simon Birdsall (The Full Monty), Hector Mackenzie (CTC newcomer), Lynne Jolly (My Fair Lady), Michael McMahon (The Ghost Train), Elaine Matheson, Lindsay Matheson (Cat on a Hot Tim Roof), Tim Ratcliffe (Aftershocks) and Clare Shamier (Peach Season). 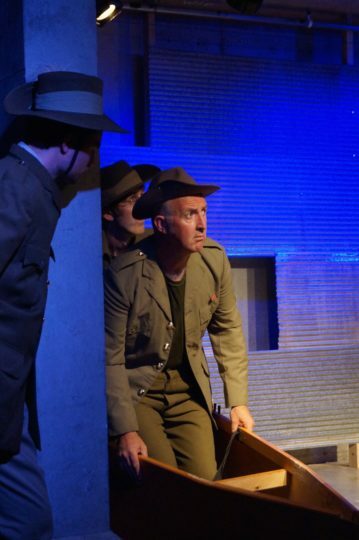 Featuring Kenneth MacLeod as ‘Slim’ Hope, the last surviving Digger to serve at Gallipoli. 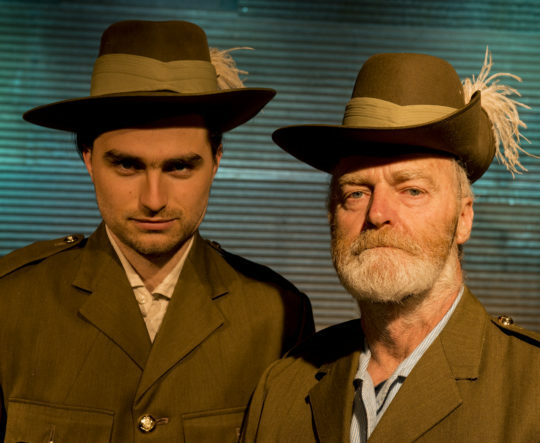 Gallipoli the Musical is a riotous comedy, but it has a serious and thoughtful message about the commercialization of the ANZAC legend. 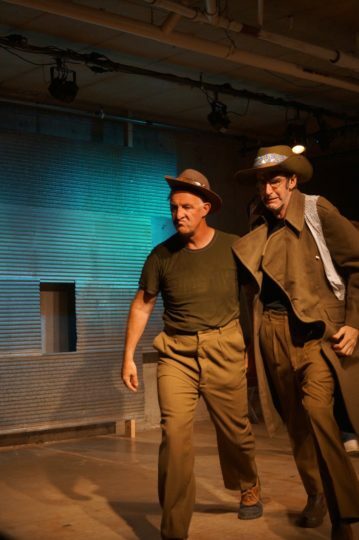 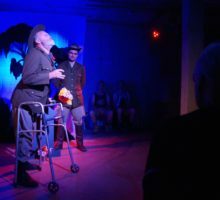 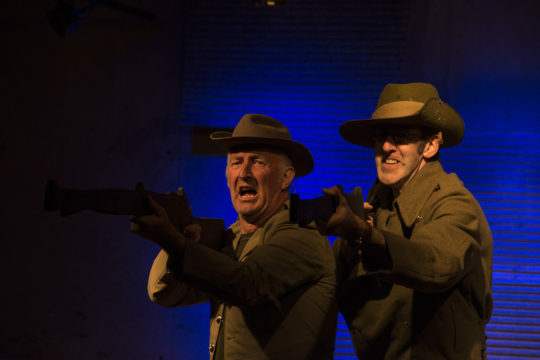 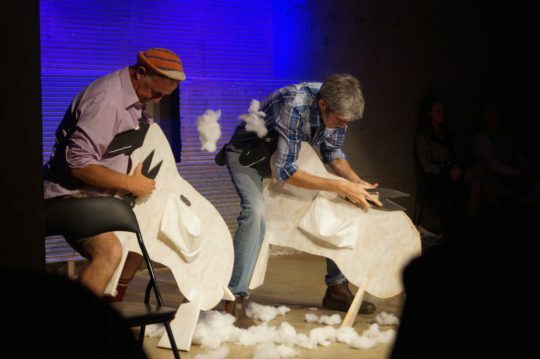 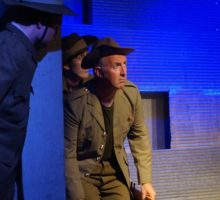 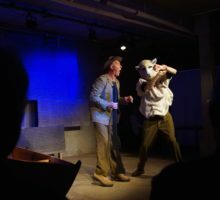 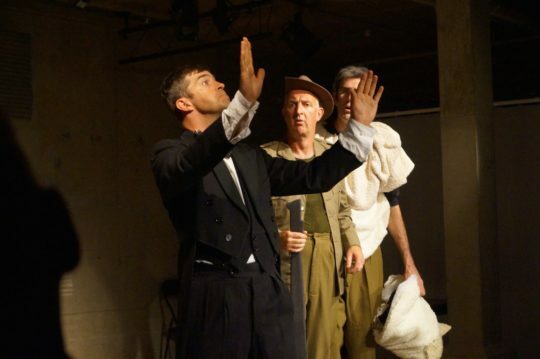 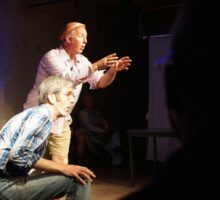 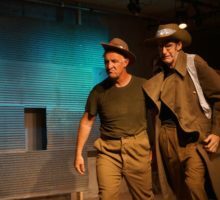 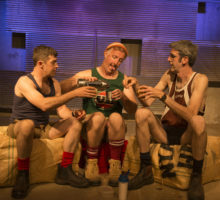 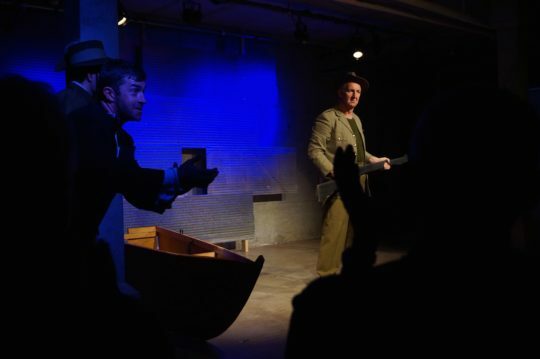 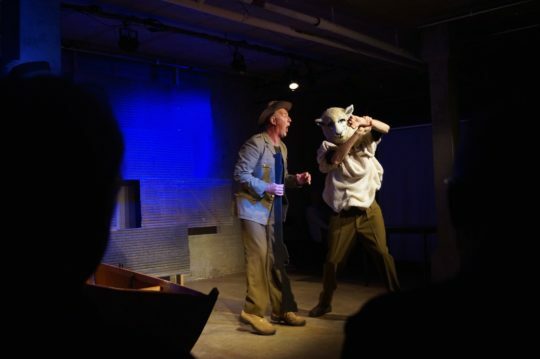 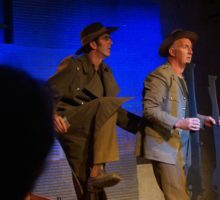 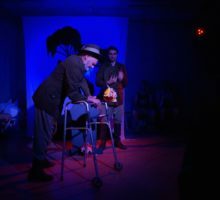 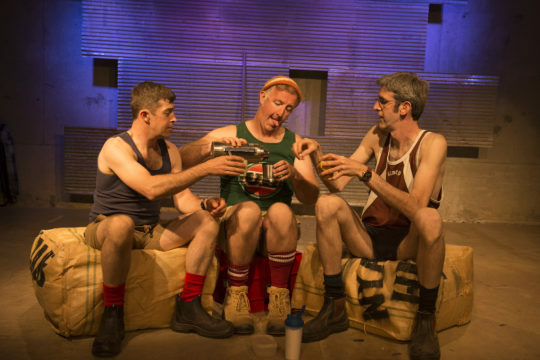 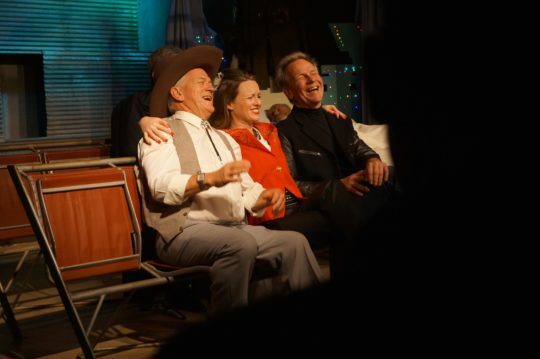 It follows the story of Stumpy, Bluey and Sunny, 3 hapless shearers who have written a play called Gallipoli, The Massacre. 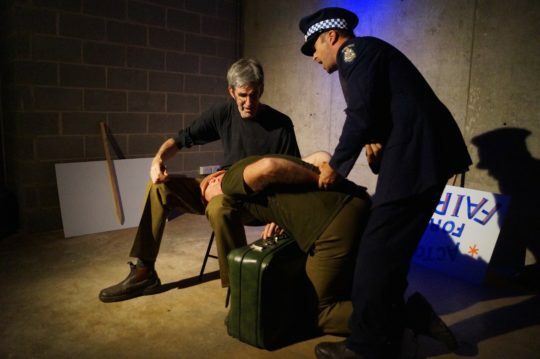 Having failed to secure Australia Council funding they are seeking corporate sponsorship for their project. 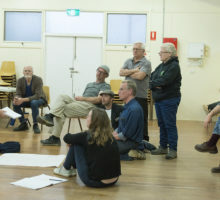 They happen upon the wheeling, dealing Carrie Trust, an advertising executive, who brings The Wool Board and The Hope Mining Corporation into the project as partners. 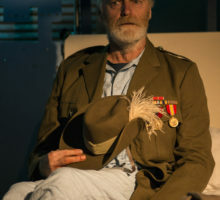 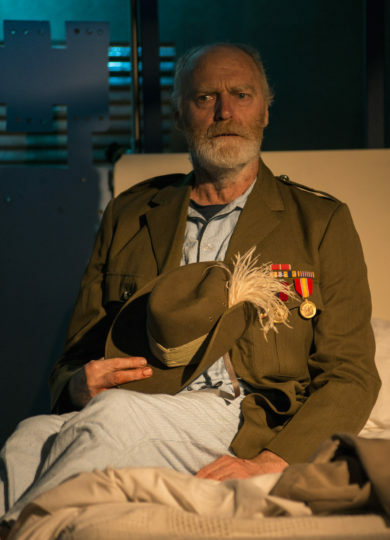 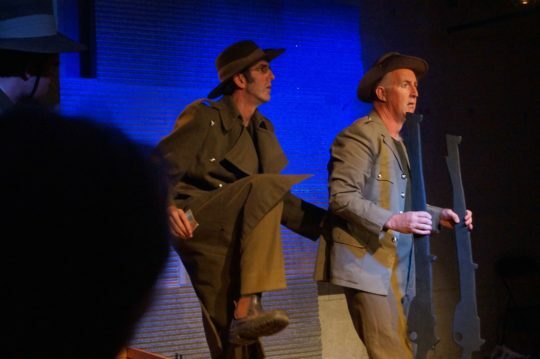 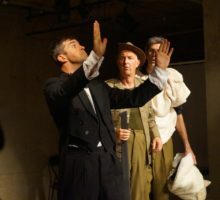 The script weaves together warmth, humour and political satire in an affectionate framing of the ANZAC legend, casting a witty yet critical eye over the commercialization and commodification of the Gallipoli narrative. 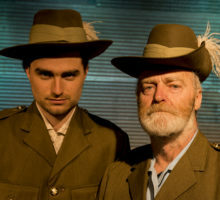 Gallipoli the Musical touchingly and humourously highlights the spirit of mateship and egalitarianism that underpins the truest and most humane aspects of the ANZAC story – young men of many different nationalities, with big dreams, thrown together in tragic circumstances, that left life-long scars on them as individuals, and on our national culture. 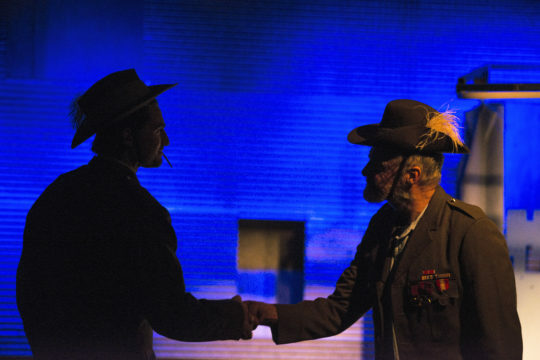 NB The last surviving ANZAC soldier to serve at Gallipoli was Alec Campbell who died in 2002 at the age of 103. 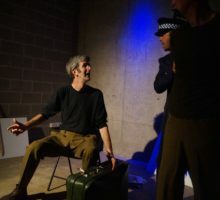 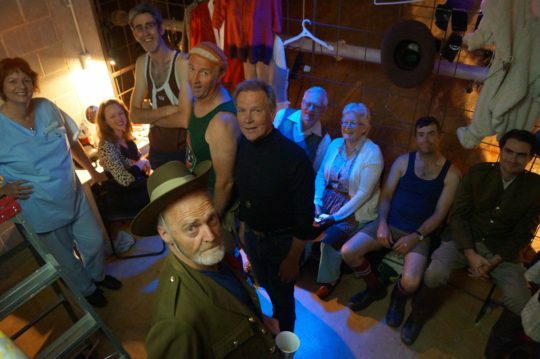 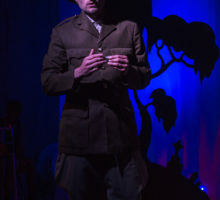 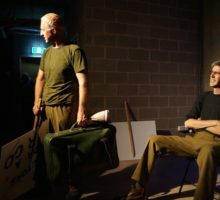 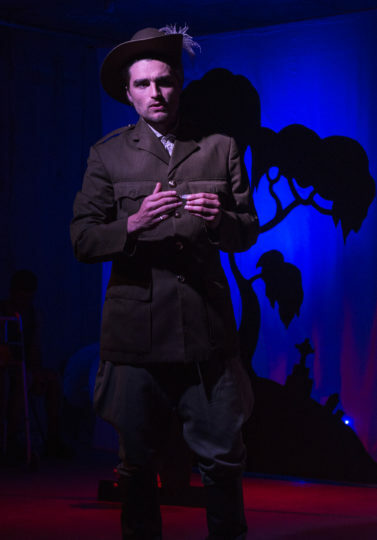 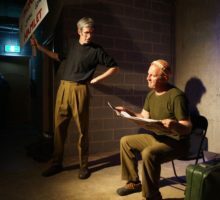 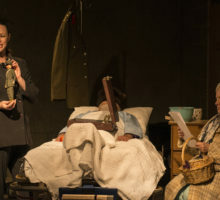 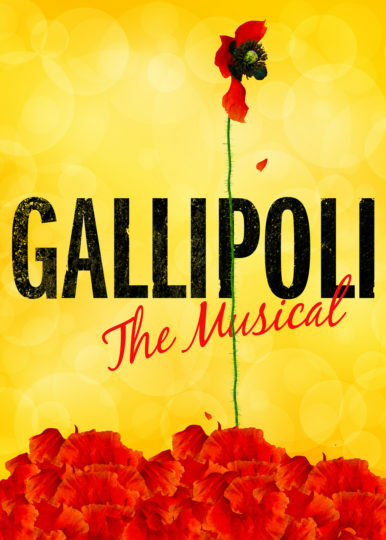 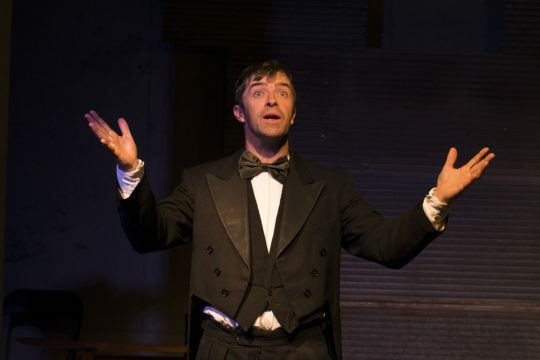 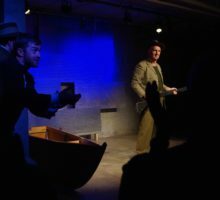 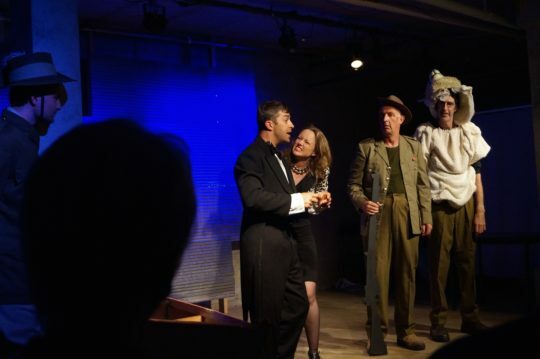 The characters in the story of ‘Gallipoli, The Musical’ are entirely fictional, and do not represent any real people living or dead, and do not reflect in any way the life of Alec Campbell. 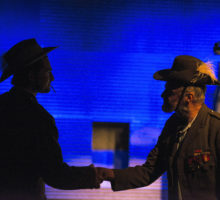 The CTC regards the courage and sacrifice of all service men and women with the utmost respect. 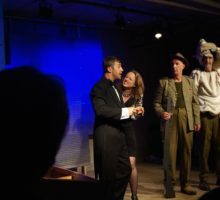 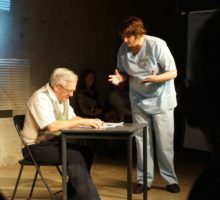 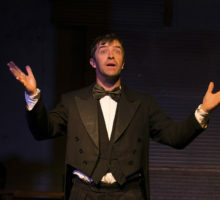 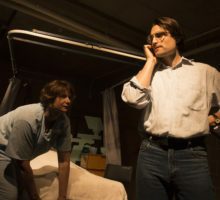 Mark Penzak works as a playwright, actor and theatre-maker for both adult and youth productions. 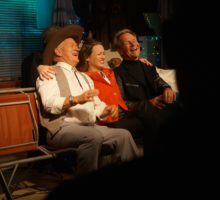 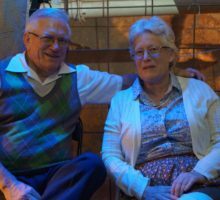 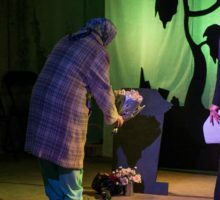 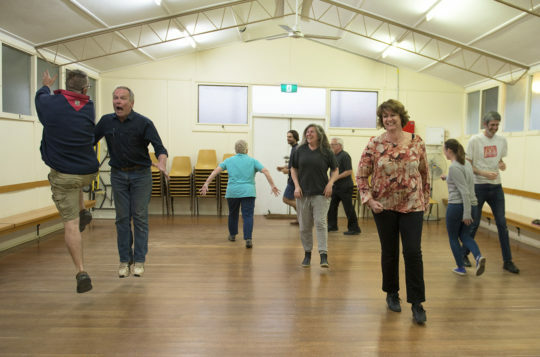 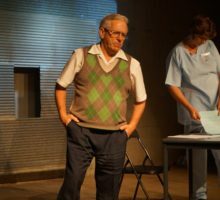 Over his 30 year career he has created about two dozen productions which have toured around Australia, overseas and have been seen by a around half a million children. 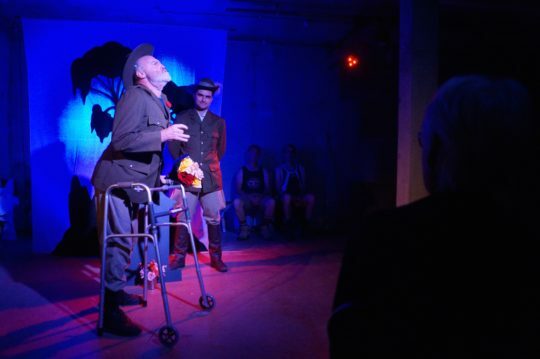 He has written, performed and directed cabaret, stand-up comedy and highly visual storytelling. 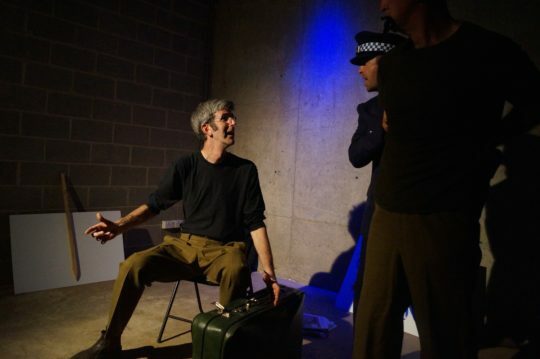 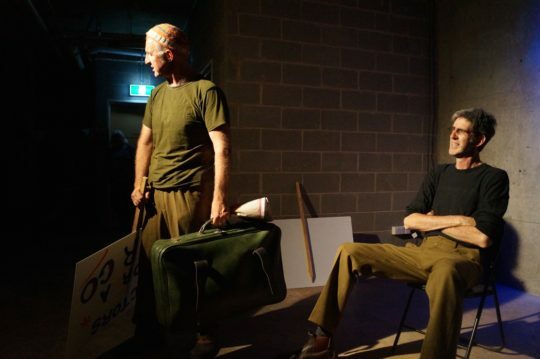 Mark holds a BA (Theatre/Media) from Charles Sturt University, a Masters of Design (Film/TV) from Edinburgh College of Art with performance studies at John Bolton, Philippe Gaulier and at the Desmond Jones School of Mime in London. 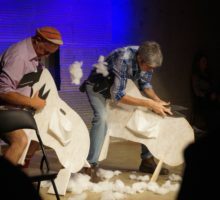 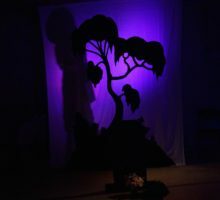 He also co-directs Such As They Are with Eliza-Jane Gilchrist, a company that creates highly visual productions that fuse puppetry with specially designed installations. 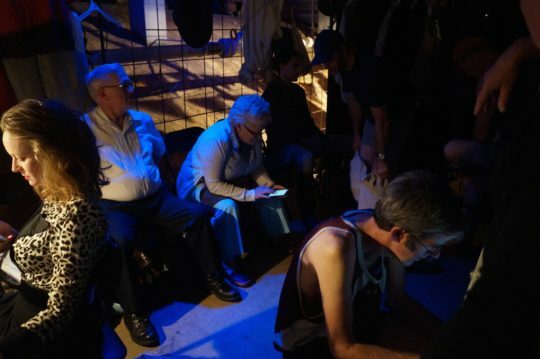 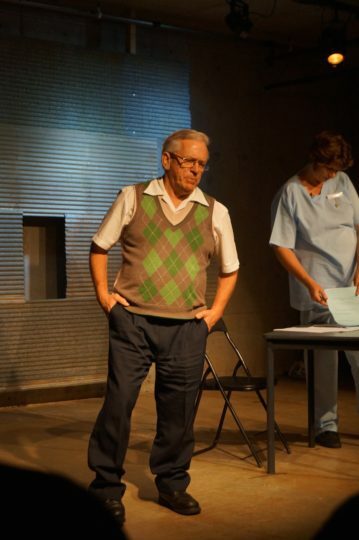 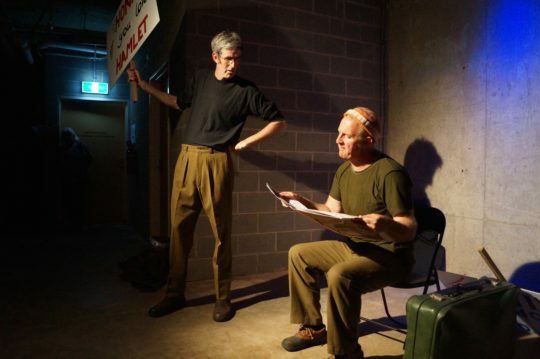 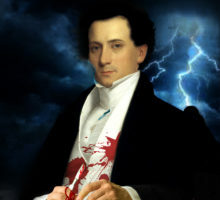 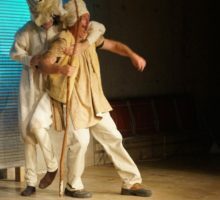 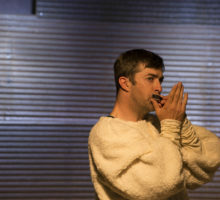 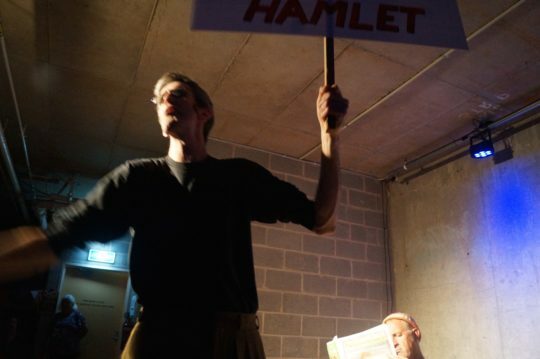 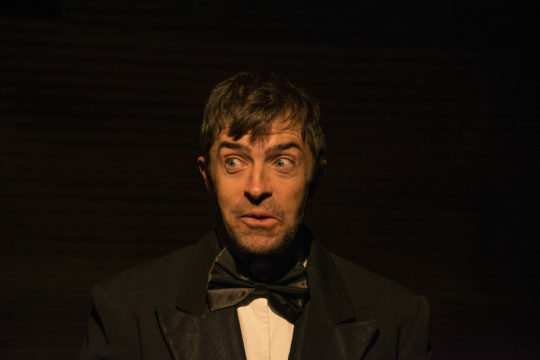 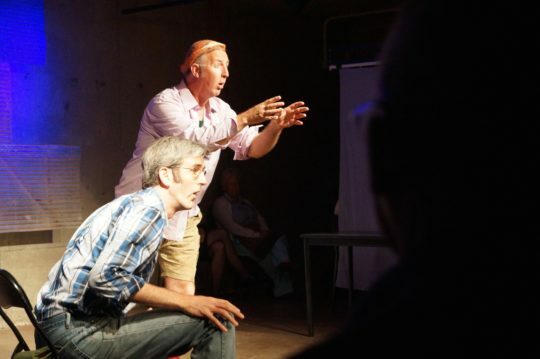 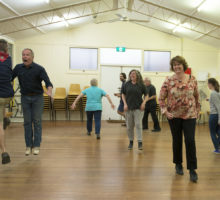 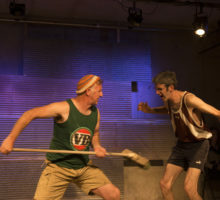 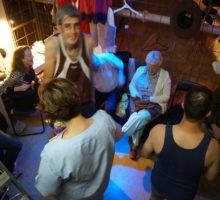 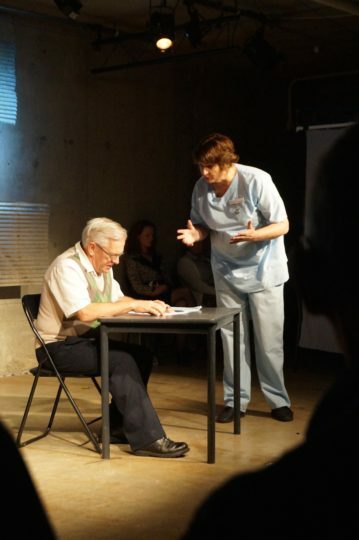 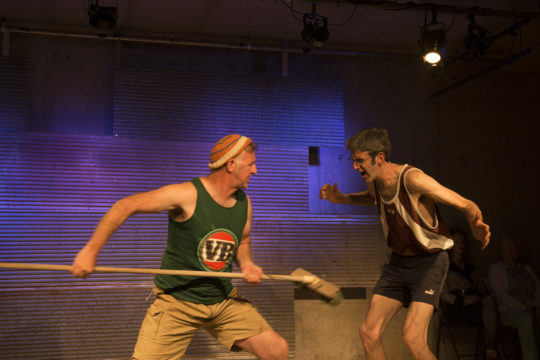 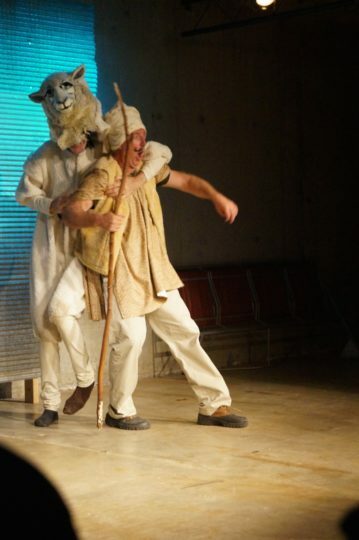 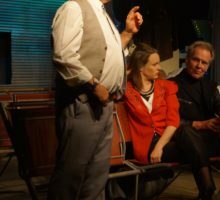 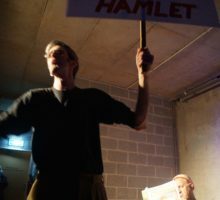 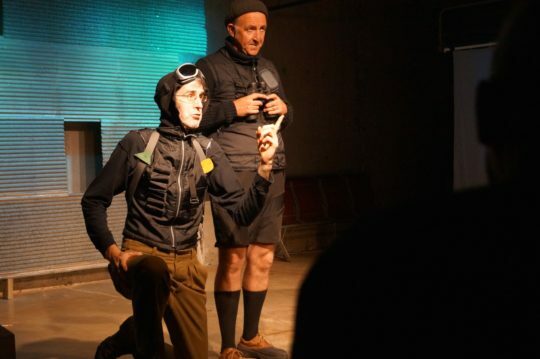 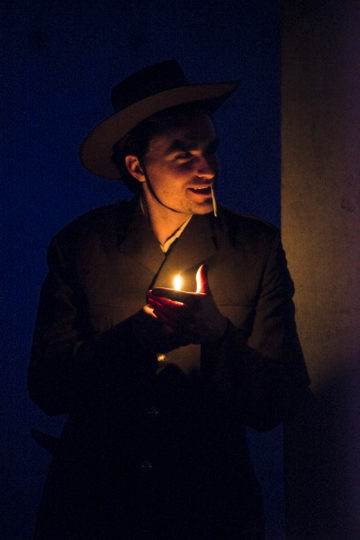 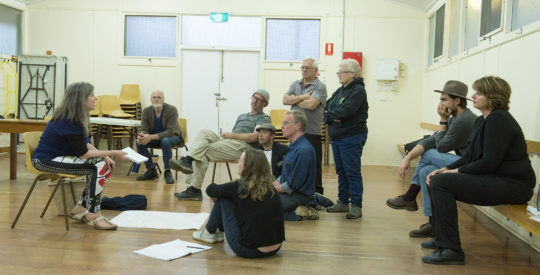 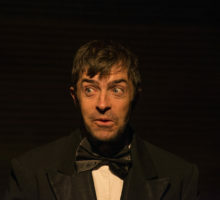 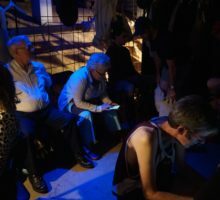 Mark’s work has featured in numerous Castlemaine State Festival productions. 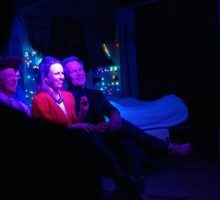 Mark and Eliza live in Campbells Creek. 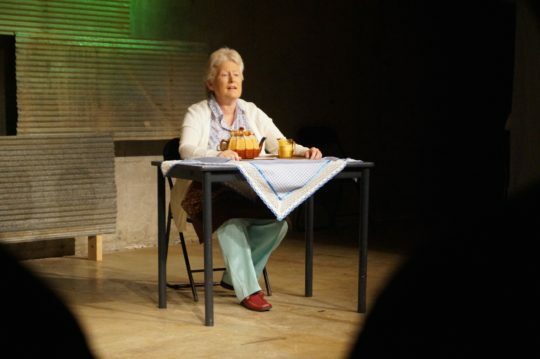 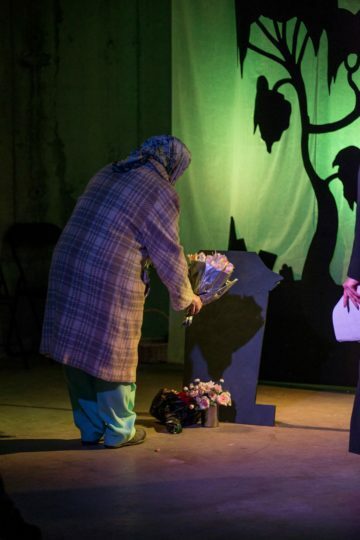 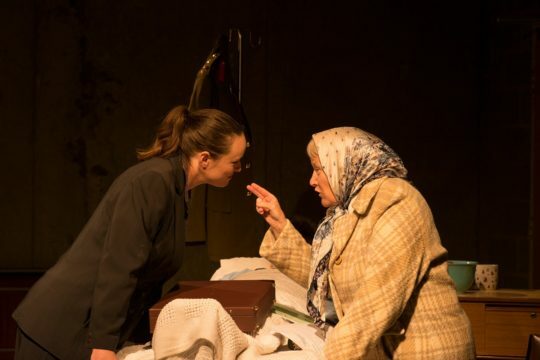 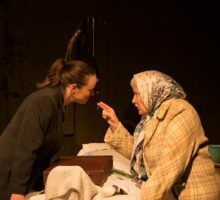 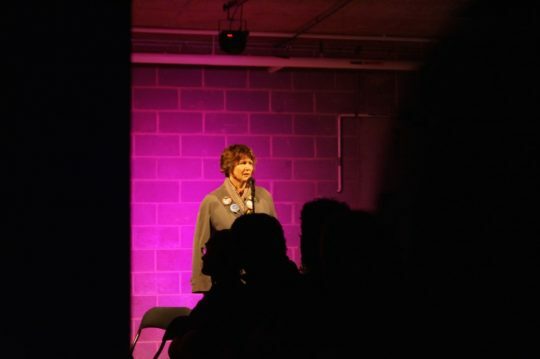 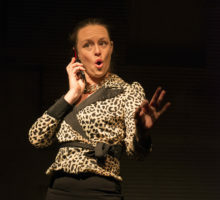 Kate Stones has recently completed an MA in Directing for Performance at the VCA. 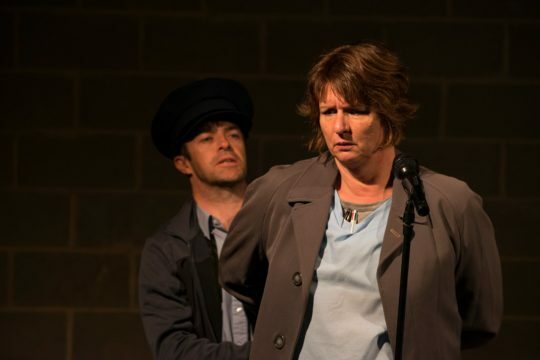 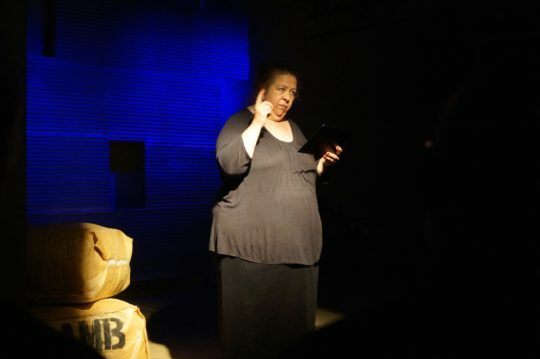 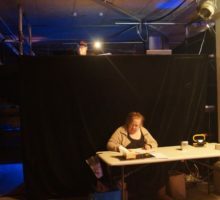 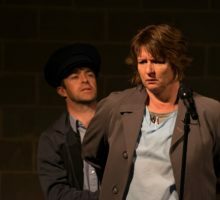 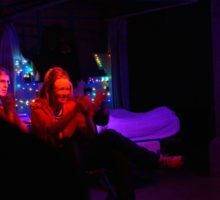 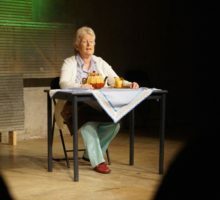 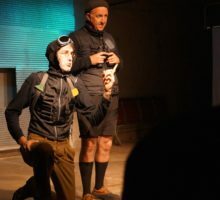 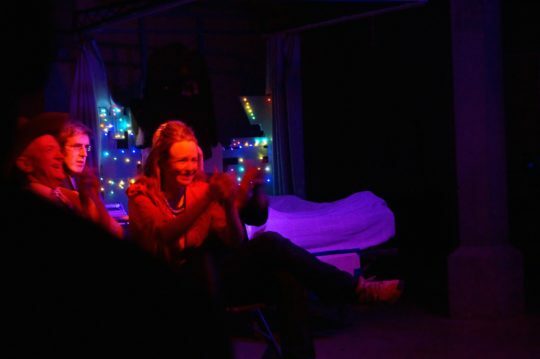 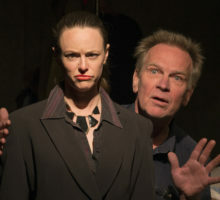 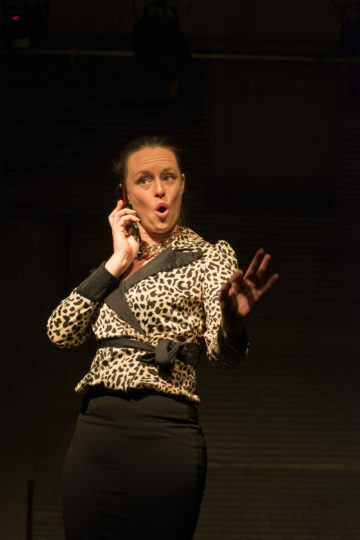 She directed ‘No Hands’ for the Castlemaine State Festival (March 2017); in 2016 she devised and performed a solo work, The Quiet Bite at The Melbourne Fringe (North Melbourne Town Hall Festival Hub). 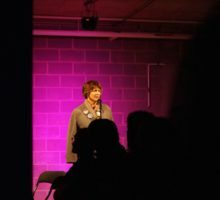 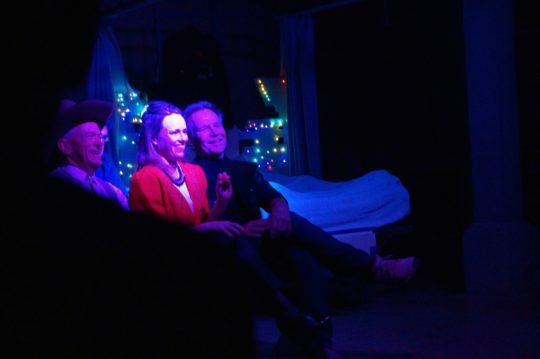 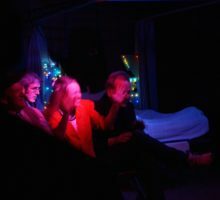 She co-directs The Red Room Theatre in Campbells Creek, a collaboration with partner Kenneth MacLeod. 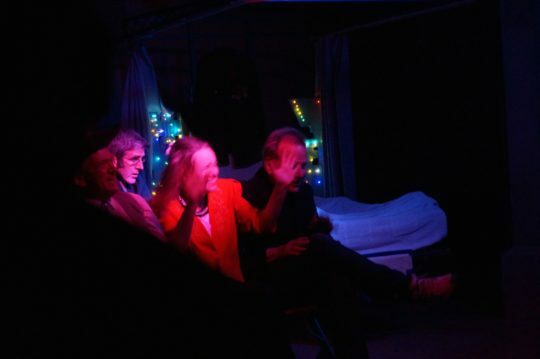 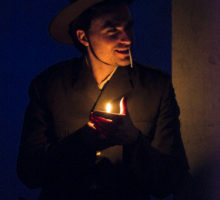 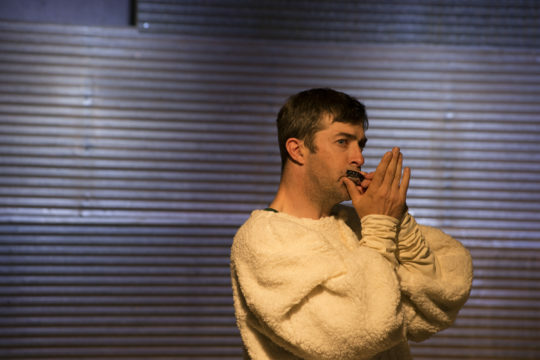 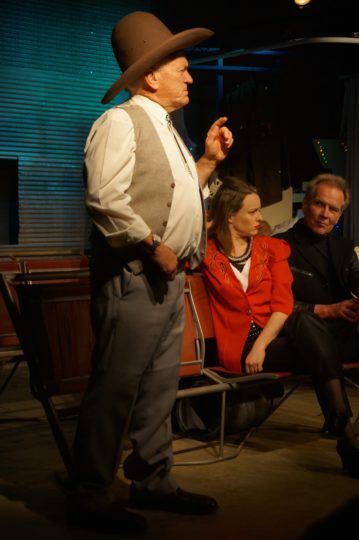 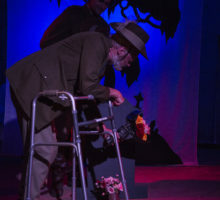 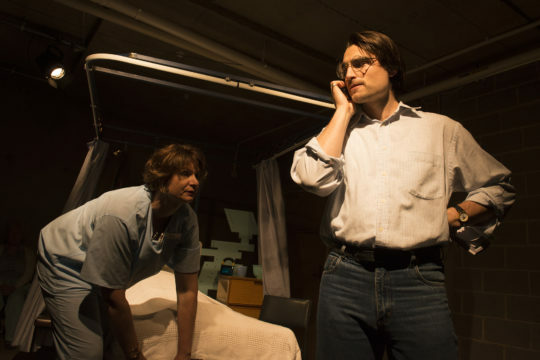 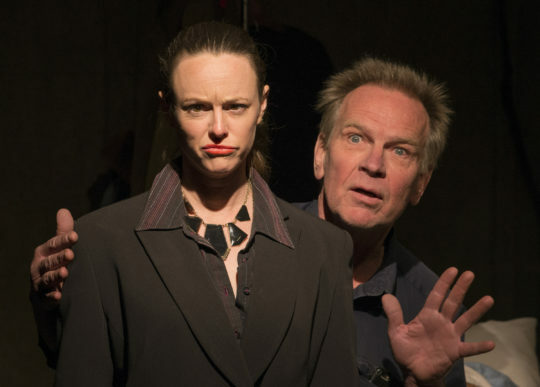 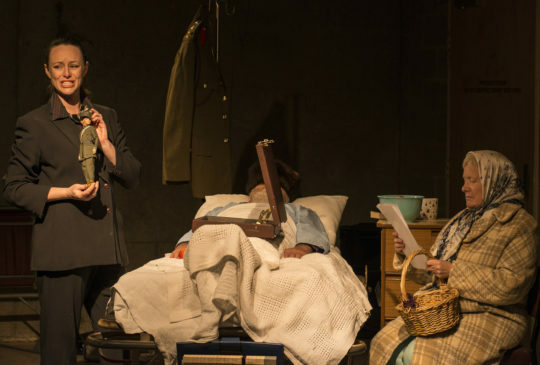 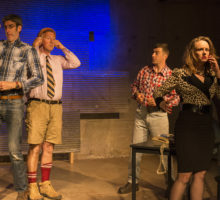 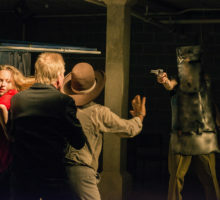 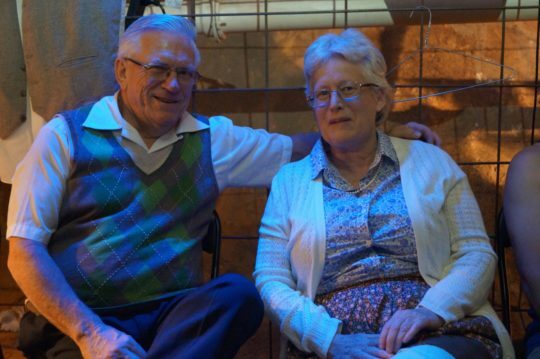 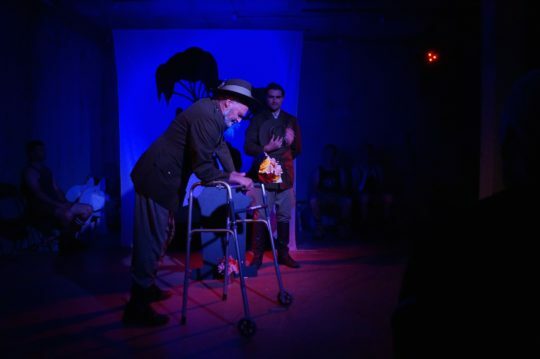 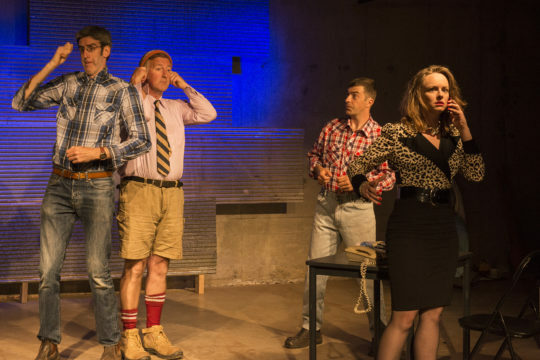 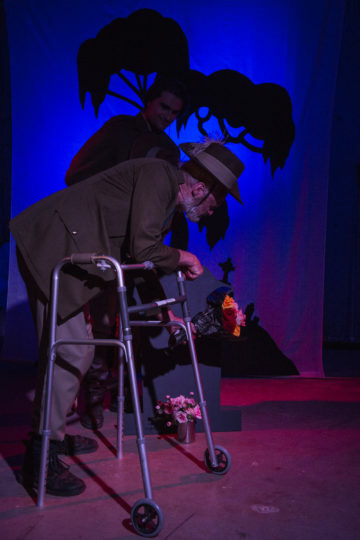 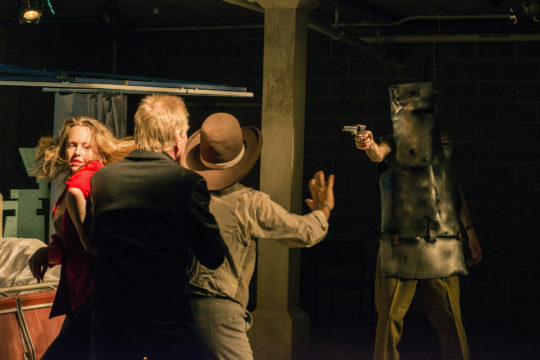 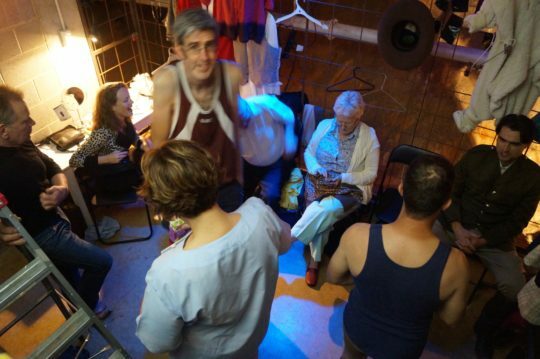 The Red Room’s acclaimed production of Purgatorio by Ariel Dorfman, featured in the 2015 Castlemaine State Festival. 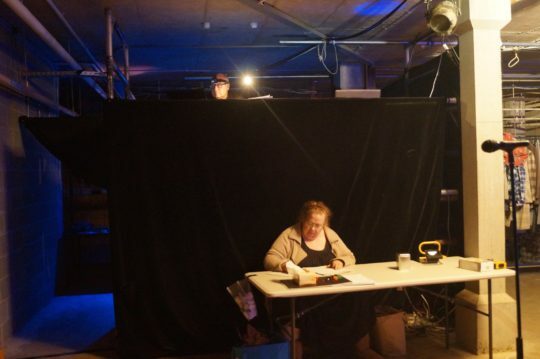 Kate has worked for the CTC as director/project manager for Monkey and the Monk (2015), she directed Burqa (2013). 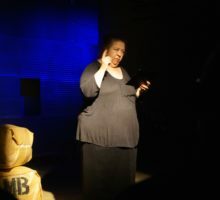 She has performed in and production managed numerous CTC productions.